The Navy informed Treasure Island residents in a meeting Wednesday that it plans to begin radiological testing beneath their homes in June. Last month the Navy announced its decision to survey the land under more than 600 homes for radiation contamination. Nearly 3,000 people live and work on the former Naval shipyard, located halfway between San Francisco and Oakland. It is home to breathtaking views of the city skylines, and also home to people like Kathryn Lundgren, who are now questioning what they have been told about the safety of their residences. “From the beginning and historically, they’ve concealed everything,” Lundgren said. “It is completely unconscionable that you continue to say you care, yet continue to allow people to live here while unearthing mounds of contaminated dirt in the process,” she told Navy leaders during the meeting. The Navy’s director of base closure, Laura Duchnak, told the NBC Bay Area Investigative Unit in an interview that she didn’t see any reason why people should not be living on Treasure Island during the cleanup process. While she told tenants that their health is paramount, she did not offer specifics to their most pressing questions. “If you find that the whole island is hot and toxic, what are you going to do for us?” asked Lucinda Hayes. In December, the Investigative Unit exposed a Navy report showing elevated levels of radiation at an unoccupied residence at Bigelow Court. 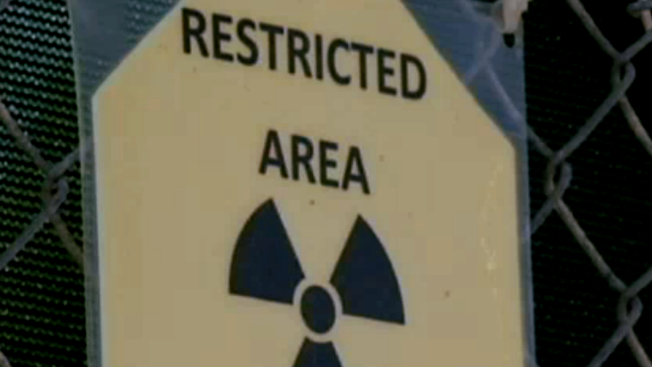 Following the NBC Bay Area investigation, the Navy announced it would conduct new radiological tests under all homes on Treasure Island. At Wednesday’s meeting the Navy admitted that it did not expect to find contamination at the Bigelow Court location. The Navy maintains that hundreds of nearby homes are not impacted by radiation. Residents say this is part of what they call the Navy’s pattern of denying and downplaying the extent of radiation on Treasure Island. Former resident Susan DeVico said during the meeting that a week and a half before she moved into her home in 1999, she saw “people in hazmat suits in front of what was to be my front door.” She said it was clear to her that the Navy knew about problems 15 years ago. The Navy said its goal is to protect the safety and health of Treasure Island residents. The Navy said it plans to hold a community meeting in May so residents can weigh in on the radiological testing process.